It’s some time since I haven’t posted anything interesting on my blog. I’ve been pretty busy, but I’ve put together a pretty basic script in PHP that reveals the target of a shortened URL. If you think that it would be interesting to publish the source-code, leave a comment. This entry was posted in Tools on February 28, 2014 by Alexandru Cuciureanu. This is just a quick post. 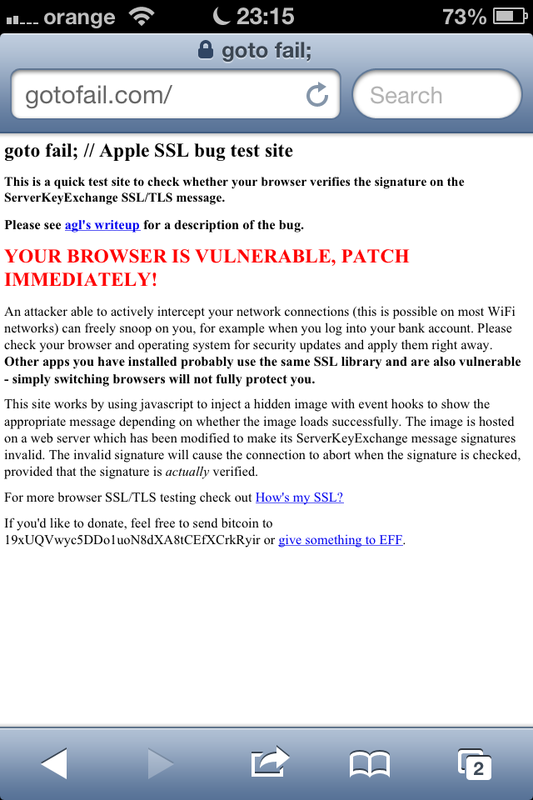 It looks that a nasty 0day IOS SSL vulnerability has been discovered in Apple’s IOS 6, 7 and Apple TV. You can read more about it here. The good news is that Apple provides updates already and there’s also a page available where you can test if the browser from your iPhone is vulnerable. So, if you wanna sleep tight, check out http://gotofail.com and if it says that you must update, then do so. Please SHARE if you found this useful. This entry was posted in App-Sec on February 22, 2014 by Alexandru Cuciureanu. I was reading last night an article about how great Red Gate .NET Reflector was (and still is), but many people were disappointed when Reg Gate announced back in February 2011 that the Free version of .NET Reflector ceased to exist. Well, the good news is that some very smart guys got together and started the development of ILSpy, an open-source project which is very similar to .NET Reflector. Some opinions say that ILSpy kept most of the functionality from .NET Reflector, it does the work pretty well and is very easy to use, but you can go ahead and check out http://ilspy.net where they provide other screenshots, links to their community and a very long list of features. This entry was posted in App-Sec on February 18, 2014 by Alexandru Cuciureanu. I was reading today an old article about running CMD.exe as Local System and was glad that I found a way to do it easily. So, I continued reading the documentation from Microsoft about the command sc create and then, with a big smile on my face, started creating a service for finally running the CMD as Local System on my Windows 7. Yay! WARNING: The service TestCMD is configured as interactive whose support is being deprecated. The service may not function properly. Now, obviously, I wanted to start the TestCMD service. I noticed that together with the message above, the “Interactive Services Detection” window popped and a button started blinking in the taskbar. If the “View the message” button is clicked, then the Command Prompt will be run as Local System. Otherwise, in case the “Ask me later” button will be clicked, the window will just close and that’s that. 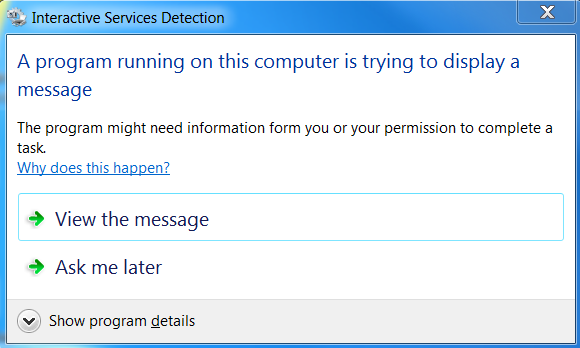 What if I don’t want to interact with the “Interactive Services Detection” window? I then started wondering why this happened and found a very interesting article which explains the concept of Session 0 Isolation. The idea is that starting with Windows Vista, the services and system processes run in session 0 in order to protect the services from privilege escalation exploitations/hijacking. Therefore, it is self-explanatory why the user logs on to Session 1,2,3 and so on. More specific information about Session 0 Isolation on Windows 7 can be found here. I have extracted the description of each parameter used above from the documentation provided by Microsoft. -i Run the program so that it interacts with the desktop of the specified session on the remote system. If no session is specified the process runs in the console session. -s Run the remote process in the System account. -accepteula This flag suppresses the display of the license dialog. 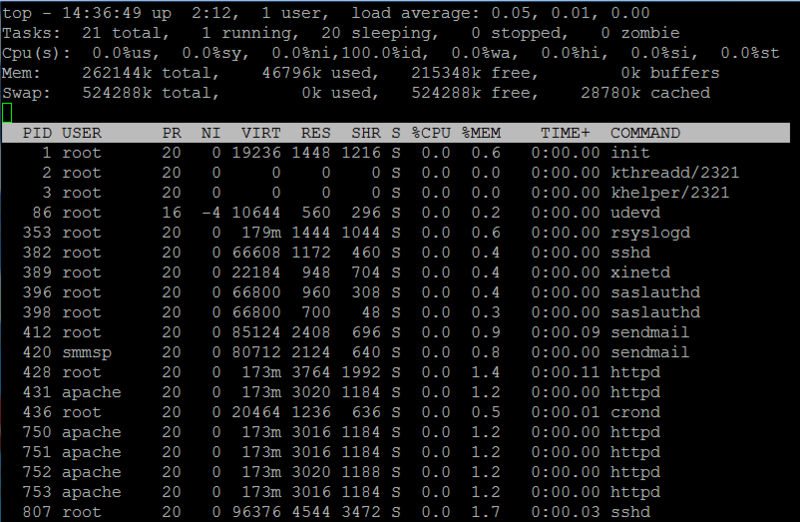 I ran the command whoami in the new Command Prompt window and been showed that CMD was running under Local System. This entry was posted in Windows on February 17, 2014 by Alexandru Cuciureanu. 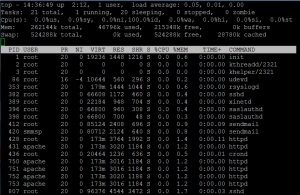 This is a very used tool by any Linux administrator because it provides real-time information about the running tasks, system and about the tasks which are managed by the kernel. In order to make this tool available, you have to install the sysstat package from the repository. This entry was posted in Linux on February 13, 2014 by Alexandru Cuciureanu.